As well as Slots, Silversands Casino offers a variety of popular Table and Speciality Games. 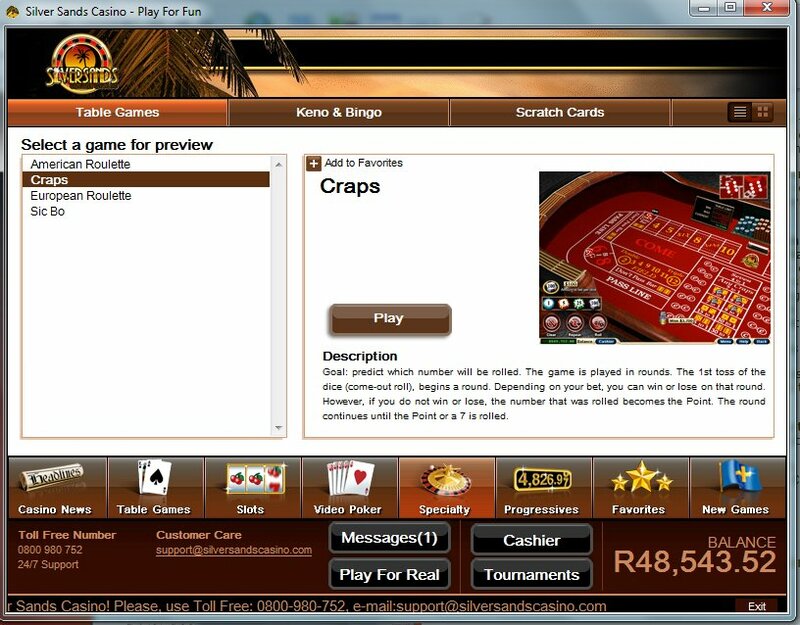 The screenshot on the left shows the Table Games screen. A full list of Table games that are available to play appear on the left. When you click on any of those names, a short introduction and game description will appear on the right hand side. 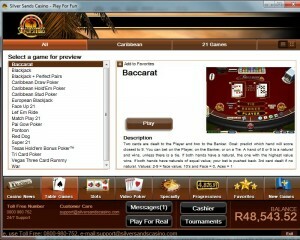 Table Games include Baccarat, Blackjack, Texas Hold’em Bonus Poker, Red Dog, Super 21, Vegas Three Card Rummy and War. The screenshot below shows the Speciality Games screen. A full list of Speciality games that are available to play appear on the left. When you click on any of those names, a short introduction and game description will appear on the right hand side. 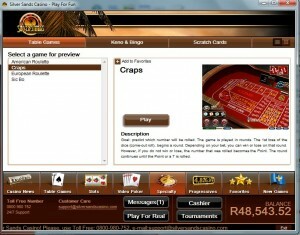 Speciality Games include American Roulette, European Roulette, Craps, Keno, Bingo and even Scratch Cards.